A reminder to anyone coming to Japan to ski and snowboard. 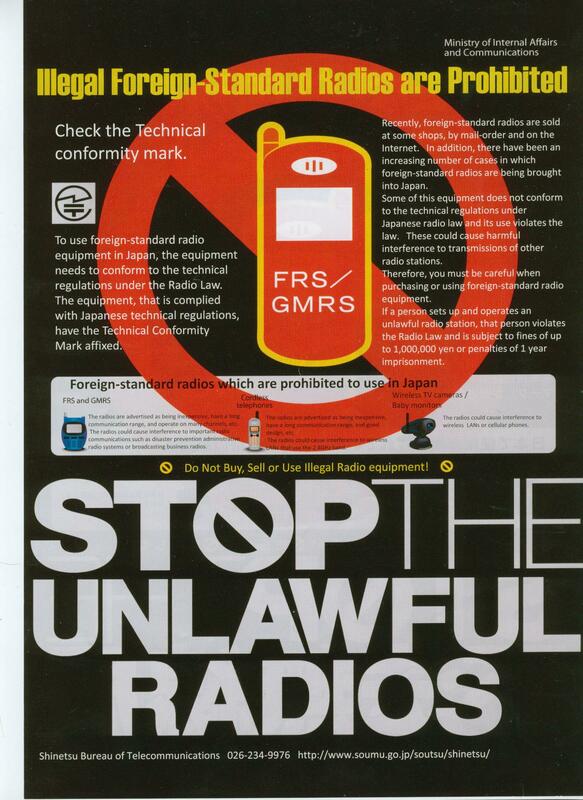 Your walkie talkies or 2 way radios will most likely have a different frequency and should not be brought into Japan. It is quite common for people to use these as a form of communication while at a ski resort. If you really want to use them please pick some up at an electrical shop in Tokyo or Nagano. If you put in a request when you book your stay at one of the White Horse Hotels we can arrange to have some here for when you arrive. This entry was posted in Uncategorized and tagged Hakuba, News, ski japan, snowjapan, two way radios. Bookmark the permalink. Skype has established its website-based customer beta to the world, soon after starting it extensively within the Usa and U.K.
immediate messaging communication (no video and voice yet, those demand a plug-in installation).